Billy Flynn always wanted to fly. An attractive young man, a patriot, he is also an artist with pencil and paint and has an abiding affinity for nature. It's 1970 and he cannot resist the call to serve in Vietnam. A year later he is the only survivor when his helicopter is shot down.A wounded Billy returns home to his family in upstate New York, especially to Nell, his adoring younger sister. In his absence, the woman he loves has mysteriously disappeared. His wounds have crippled his ability to even hold a pencil and his hearing loss has cut him off from the natural world. Nell, a brilliant student headed for a career in science, will do all that's possible to save him.A Catalog of Birds is the story of a family and a community confronted with a loss of innocence and wounds that may never heal. The legacy of war and its destruction of nature is seared onto the memories of a small American town. 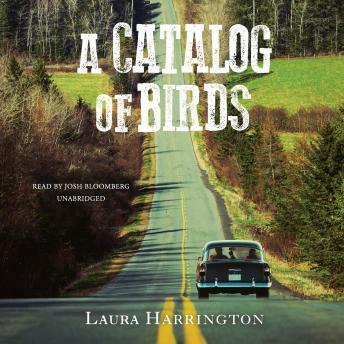 Laura Harrington has written a tale of forgiveness, of ourselves, and those we love. Illuminated by heartbreak and promise, the novel is alive with spirit and wonder and hope for the future.